Rhapsody and Napster get Chromecast Support | Android Blast! 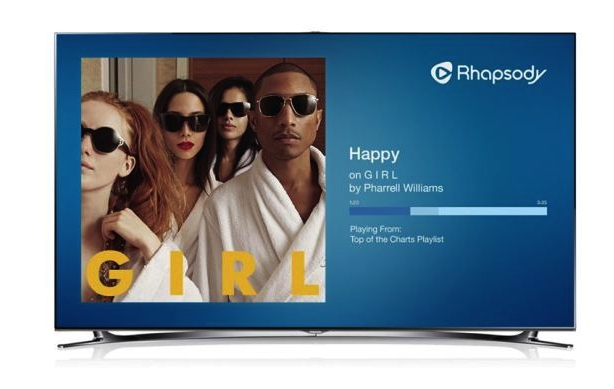 Rhapsody and Napster are now casting to Google's Chromecast from your Android phone or tablet. The announcement was made today via Rhapsody's Blog. Rival service Pandora has been on Chromecast for awhile now so Rhapsody is a little late, but better late than never right? The latest versions of Rhapsody and Napster are Chromecast ready so update your software now. �Adding support for Google Chromecast is another example of our commitment to giving music lovers more ways to easily enjoy the music they love in the comfort of their own home without interruption,� said Paul Springer, Rhapsody International�s SVP of Americas and Chief Product Officer.